Looking for something for that Japan-fan who's already got it all? Take a dip into some both traditional and atypical items you can order from Japan—they probably don't have any of these! Tatami mats are handmade straw mats that are traditionally used as flooring in Japan. 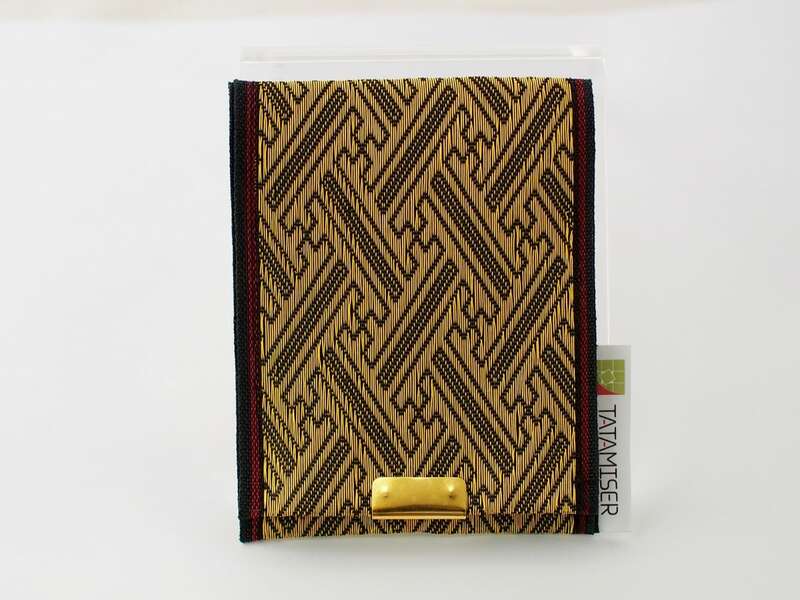 This tatami wallet uses a combination of classic Japanese patterns and gold coloration to create a sense of wealth to go with the wealth in your pocket. Multiple patterns available. Urushi, or Japanese lacquer, was historically produced in the Echizen region of Japan, located in the north of what's now Fukui Prefecture. This particular urushi bowl was produced by an urushi artist who has also contributed to maintaining cultural assets in Kyoto. Want tatami for your home? How about for your cat? This hexagonal tatami mat is made exclusively for cats. Really! They just seem to want to sit on it when they see it! Choose from one of three Tokyo Treat Boxes, including five to seven, eight to 12 or 16 to 18 full-sized snacks and a drink. Each box contains popular Japanese snacks that are difficult to acquire overseas, such as Pocky, special Kit Kats, potato chips and limited-edition snacks. Get your name translated into kanji and immortalized on a necklace! You'll be presented with three meaning options to choose from. For example, the name Bob could be 暴武, which means “Wild Samurai,” or 慕夫, which means “Beloved Husband.” Three sizes also available. Check out more details here! Echizen Washi is made from paper mulberry using techniques dating back some 1,500 years. This luxury Japanese paper is highly valued for use in printing and art. This Japanese-made luxury board game is geared for adults. The board and pieces have been carefully crafted using traditional Japanese techniques and materials, yet anyone can learn the rules of this one-on-one game in just three minutes! Okay, we do have one otaku item: YumeTwins is a monthly released product that includes cute Japanese novelty items and character goodies. The YumeTwins box includes one plushie, four character-based goods and a YumeTwins original booklet. The box is produced in collaboration with original manufacturers, including in-demand character items and authentic Japanese goods like chopsticks and folding fans. 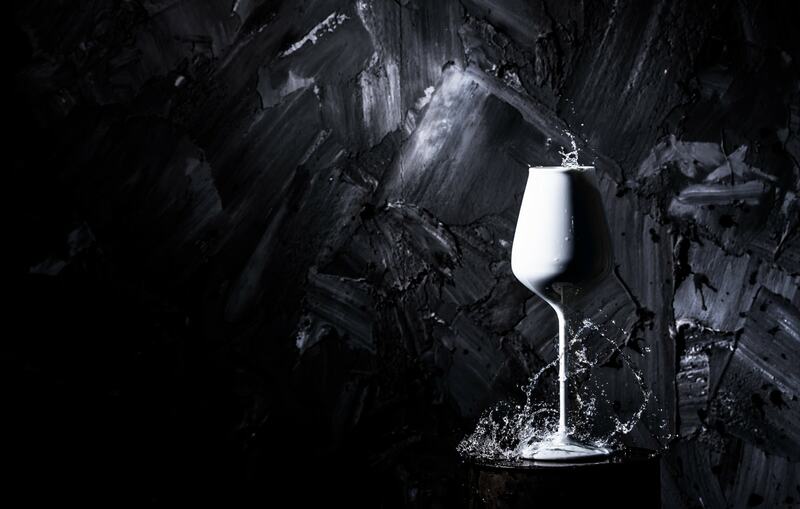 These wine glasses are actually made for drinking Japanese sake. The shape is reminiscent of the image of rice, designed to release the aroma of any sake inside. The 6-millimeter stem is the ultimate in refined porcelain. The "Japanese Paper Shijiraori Samue" is 21st-century relaxation wear made from yarn made out of traditional Japanese paper (washi). Including a top and leggings, it combines tradition with modernity to create a high-quality, environmentally friendly material. This "Love Ribbon" is fashioned into letters that are invisible at first glance. The letters reveal themselves in the form of a shadow once hit by light from a certain angle, exhibiting the idea that what is truly important will not change. Seaweed noodles are known for their unique, slippery feel and jade color. These noodles are made using Japanese domestic wheat flour and wakame seaweed from Awaji Island in the Seto Inland Sea. Available in thick and thin varieties, the thin noodles take 90 seconds to cook, while the thick ones take eight to nine minutes. Soup sold separately. This handy brass knuckles mug is not to be used for fighting! But it is very easy to hold with your fingers. These cuff links have been created by a graphic designer specializing in research on family crests. Make the historical family crests of Japan a part of your modern-day fashion! This Japanese wooden puzzle wakes use of the same techniques used in construction of temples and shrines in Horyu-ji, Nara—among the olden wooden buildings in the world! Custom-made orders are also accepted. Sanada-himo is a traditional Japanese fabric named after the Sanada samurai clan. It was used to decorate armor and secure important items, for women's kimono and handbags, and for wrapping fragile items and gifts. Today, it's still used for wrapping and decoration—great for shoes, clothes, bags, hair decorations and more! Tenugui (手ぬぐい, literally "hand wipe") are rectangular cotton towels traditionally used for wiping your hands, dabbing sweat off your brow, or wrapping around your head. However, they also have aesthetic appeal, and artistically designed tenugui can make very cute home decorations! Whether the design be modern or traditional, it's still a tenugui!